tourism, government & infrastructure, economic development, media, education, healthcare, manufacturing & industry, and non-profits in the LC Valley. Leadership LC Valley is unlike other programs because it provides participants with the opportunity to meet and discuss issues with key community leaders. Participants study the qualities that make an effective leader, analyze individual leadership roles, and develop personal leadership styles and skills. The personal connections are invaluable to business and civic leadership. Strengthen their understanding of the Lewis Clark Valley. meaningful connections that help retain valuable employees. Employees develop relationships with peers in other organizations and sectors, learning new approaches to problem solving, and uncovering new resources they can call on in the future. immediately. Participants become confident leaders by working on real world projects in teams with tight time frames and limited resources. You’re invited! 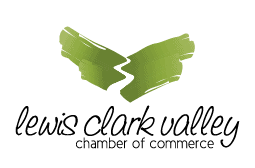 As a member of the Lewis Clark Valley Chamber, you have a standing invitation to come have lunch with your fellow Chamber members at this month’s Chamber Lunch Exchange. Know someone new to the area? Guests are welcome and encouraged! Introduce new employees, supervisors, managers or community group leaders from your business or organization. As though you’d need more reasons, attending the luncheon provides business advocacy, networking opportunities and member-to-member referrals. You’ll get to hear from informative speakers, and don’t forget 50/50 drawings, Ray-isms, and door prizes. The Chamber Lunch Exchange is generally held on the second Wednesday of each month unless otherwise stated. There’s always something special going on – don’t be left out! Advance RSVP is required, contact the Chamber office today or register online. Mix business with pleasure! Join us for an evening of networking with current or potential business associates at Business After Hours. Bring plenty of business cards, enjoy refreshments and door prizes. Join us at this free event for all chamber members and their employees. Call the Chamber office to reserve your business for an upcoming Business After Hours at 509.758.7712. 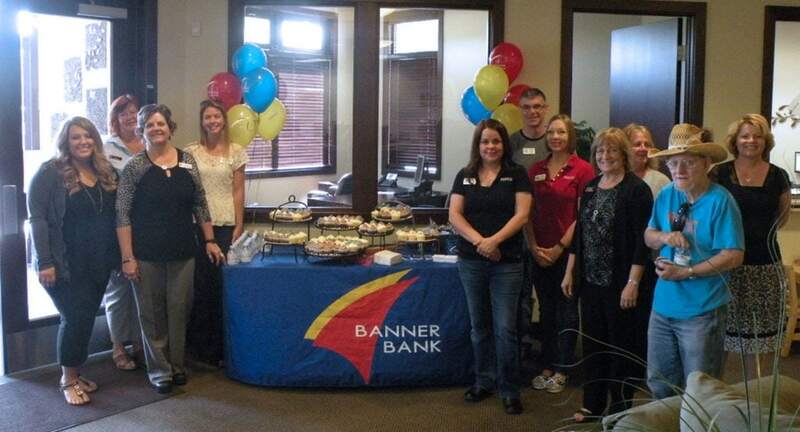 Ribbon cutting ceremonies are a time of celebration for welcoming new Chamber business to the community. It is the culmination of a lot of hard work and perseverance. A ribbon cutting ceremony is also an opportunity to thank co-workers, friends, suppliers and other entities that have helped the company reach this point. Each month, we surprise a Chamber member with coffee and donuts. We appreciate our members and thanks to Albertson’s in Clarkston, we can support their coffee and donut habit and feature their business in our monthly newsletter. As the voice of business in the Valley, the Lewis Clark Valley Chamber of Commerce is committed to keep­ing our region competitive and improving the business climate. One of the best ways we can achieve this goal is through the legislative process. Representing two cities, two counties and two states provides us with a unique opportunity for cooperation between our local and state level representation. The Chamber is proud to work on behalf of our members to advocate policies and legislation that contributes to the growth and prosperity of our region. The Governmental Affairs Committee (GAC) represents Idaho. The goal of the GAC is to advocate for legislation conducive to a healthy business environment at the State, County and city levels and to inform our membership about pertinent issues through the development of Position Statements. For more information on being involved with the Governmental Affairs Committee please contact us. This committee represents Washington and meets on the second and fourth Thursday of each month with the delegates of the legislative districts during legislative session. For more information on being involved with the Legislative Committee please contact us. The Lewis Clark Valley Chamber actively participates in community events year round encouraging tourism, community development, and more dollars circulating through the community. The Avista-NAIA World Series is located in beautiful Lewiston, Idaho. The excitement is building as the Series is celebrating 60 years of World Series baseball and 25 years of Championship Baseball at Harris Field. Since 1957, over 880,000 fans have attended the Series and 33 different teams have claimed the coveted championship trophy. Don't miss your chance to join the fun at the Avista-NAIA World Series. Refresh the Valley, created in an effort to spruce up Lewiston and Clarkston’s appearance, takes place every year in April. The event, with a goal of encouraging business owners in both cities to beautify their storefronts. Every December the Chamber braves the cold and lights up for a community parade through downtown Clarkston.